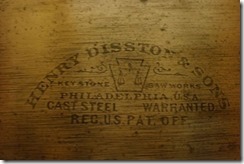 Part of being a hand tool woodworker involves finding quality tools. 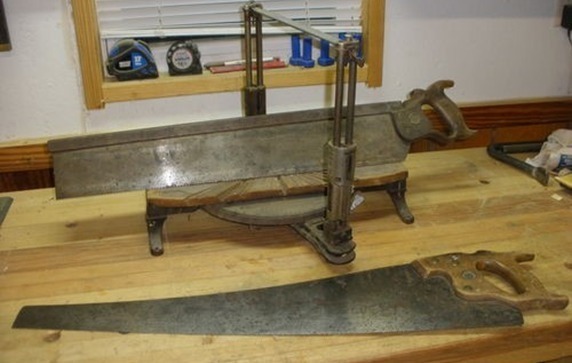 While there are now some manufacturers making high quality hand tools (Lie-Nielsen or Lee Valley/Veritas, for instance) there are also a tremendous amount of vintage tools that make great users if you are willing to put in a little work. 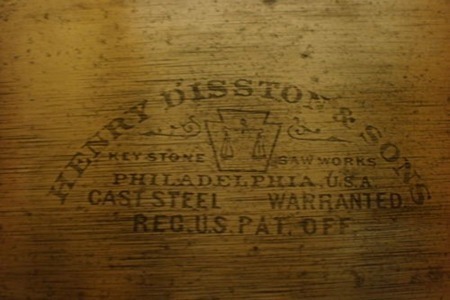 There were such a variety of different manufacturers in the early to mid 1900’s, that there is a plethora of different shapes and styles of hand planes, drills, and especially, hand saws. 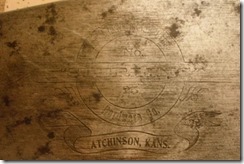 Etches and medallions are two of the ways to help date a vintage saw, but medallions are sometimes missing or have been swapped out with incorrect ones. 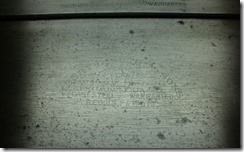 The etch, however, will always go along with the plate. The biggest problem is that as you remove the corrosion from a saw plate during a restoration, many times the etch loses its contrast. There are ways to bring back an etch to a certain extent that can help identify the saw and contribute to its appearance. 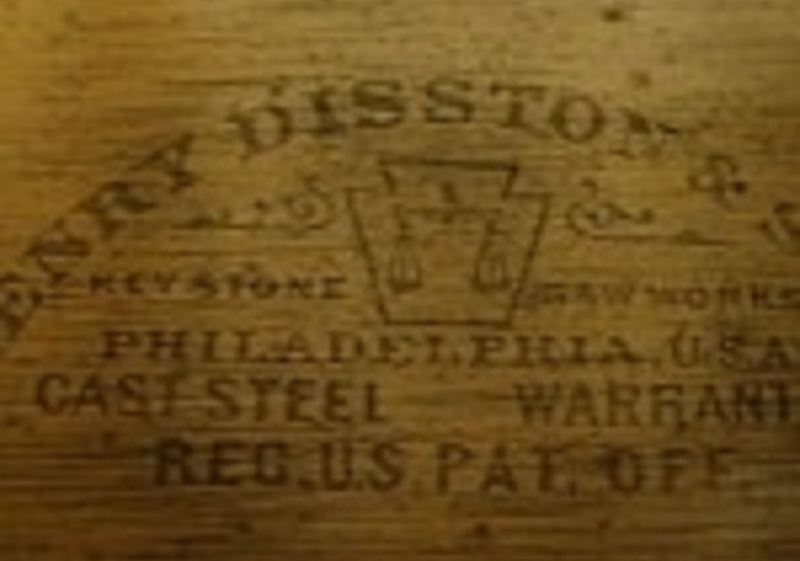 In a thread on Lumberjocks.com, one member posted a link to an article on bringing out an etch using brass darkening solution. That is not a commonly found chemical, but there is an easy to find substitute—more on that in a bit. 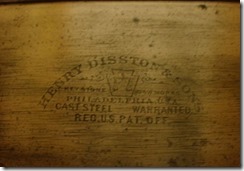 When working on a saw plate, the results will mostly be determined by the depth of the existing etch. 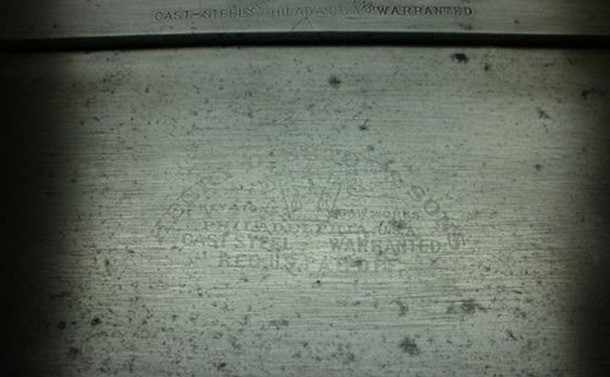 The one above came out very well, while this Phoenix panel saw had too much corrosion and wear so that the top of the etch, even with darkening, is barely legible. First step in bringing back an etch is to clean up the saw plate, being careful to not remove too much metal. 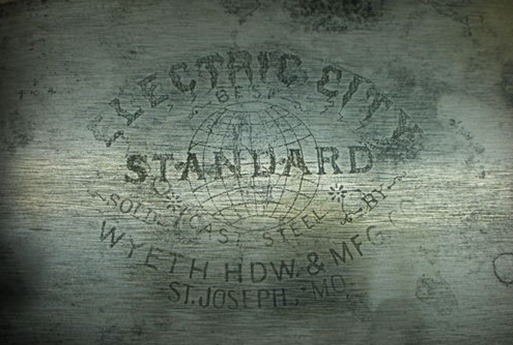 For saws with very much corrosion, electrolysis, Evaporust or citric acid are probably the best choices. 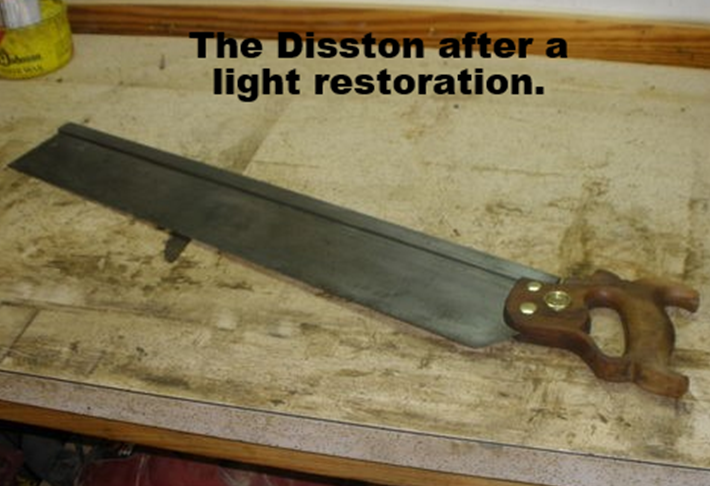 For this 26 inch Disston No 4 that was picked up with it’s partner Stanley miter box, it was more grime than corrosion, so I was able to use a Scotchbrite pad, some light oil and good old elbow grease. 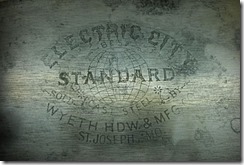 After a bit of work, here is what was showing for an etch. The whole process only takes 10-15 minutes, and the results are so worth it. 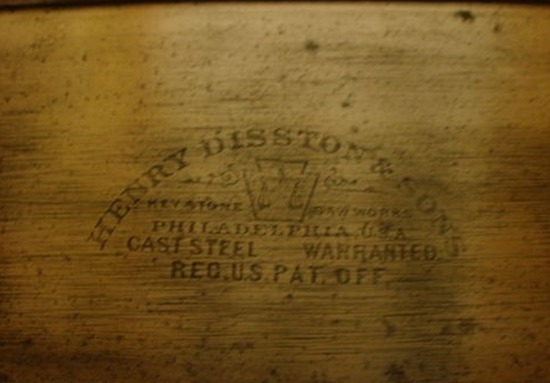 After finishing, make sure to wax the plate for some rust protection or you will get to start the whole restoration process over again in the near future. After this, repeat the whole process. 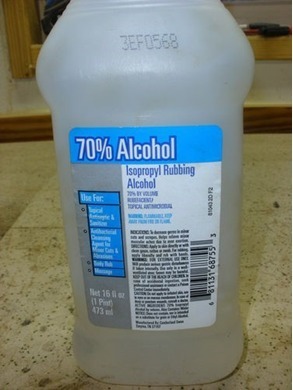 Alcohol, bluing, rinse, sand. You will notice that the chemical reaction is probably darker and deeper in color the second time. If still not satisfied, you can do a third application, causing the etch to come out even a bit more. Be careful not overdo the sanding, or you can sand the saw plate down too much and lose the etch completely. Don’t worry about the blotchiness, it will take care of itself as you move on. After letting the bluing set for a minute or so, rinse off the saw plate with cold water and dry. 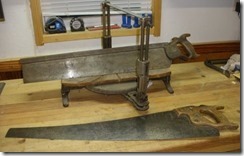 Then, using some 400 grit sandpaper on a sanding block, either wet or dry, gently sand the saw plate. 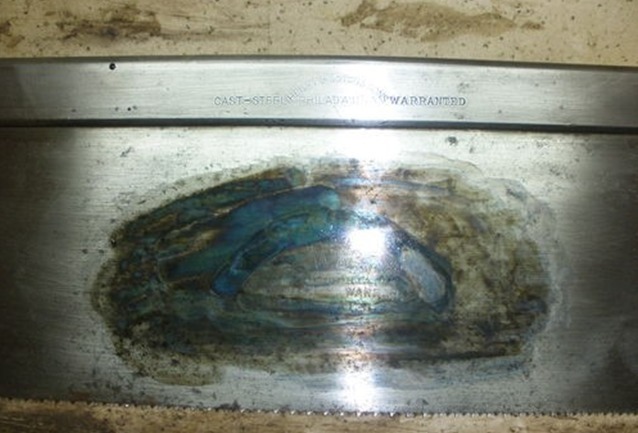 Since bluing is a chemical reaction, causing oxidation of the metal, the metal can be worked right away–it’s not like waiting for varnish to dry. Using a block allows the sandpaper to remove the bluing on the flat, while not touching the metal in the etch. 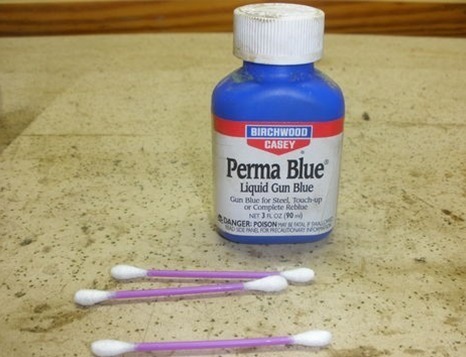 This cold bluing solution ( Perma Blue ) is available nearly anywhere that carries hunting and gun supplies, either by itself or in a gun restoration kit. Look for it near the gun cleaning supplies. Using a cotton swab, spread the bluing solution liberally over the etch and surrounding area.